Gaskets are often overlooked, since they’re not a big, expensive performance part that adds horsepower to your engine. However, anyone that’s had failing or blown gaskets knows they’re as important as any piston or turbo, and can cost just as much to fix if a faulty one damages your engine. That’s why we’re featuring our quality aftermarket gaskets and gasket sets this April. 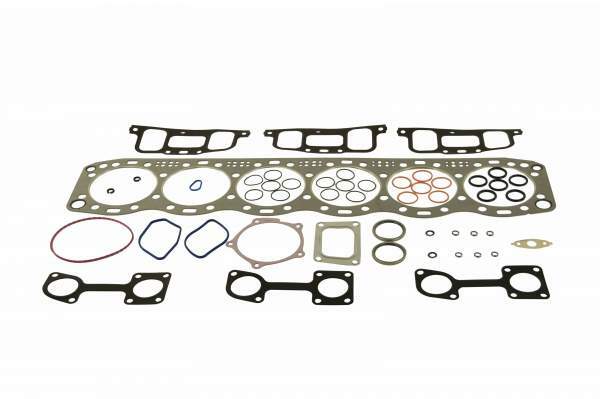 This gasket set has all the gaskets you need to refresh the upper side of your Cummins ISX engine. Because it’s for only the upper engine, you can keep your engine in-chassis when doing the work, which will save both time and money. 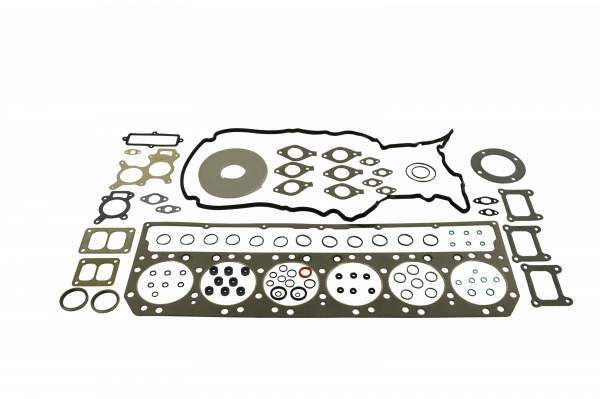 The quality of this gasket set is proven by its 2 year parts and labor warranty. An important compatibility note: this set is meant for ISX engines with EGR, and you should always provide an engine serial number when ordering to make sure you get all the right stuff. If you’re replacing the cylinder head on your C12 engine, this gasket set is a must. Instead of paying extra to replace your gaskets at a later date, just replace them while you already have everything pulled apart! The gaskets in this set are manufactured and assembled in an ISO 9001:2008 certified facility, making sure you get quality and consistency. Oh, and did we mention that facility is in the good, ol’ U.S. of A.? You can bet your star-spangled banner it is. Basically the twin of the upper engine gasket set, this set is meant for the lower engine of the Cummins ISX engine. It’s got all of the gaskets for the lower engine. All gaskets are made with materials that ensure excellent performance in functionality and sealability. This performance is backed by a manufacturer-provided 2 year parts and labor warranty. Made for a Detroit Diesel Series 60, this set has all the gaskets you’ll need when replacing your S60’s cylinder head. 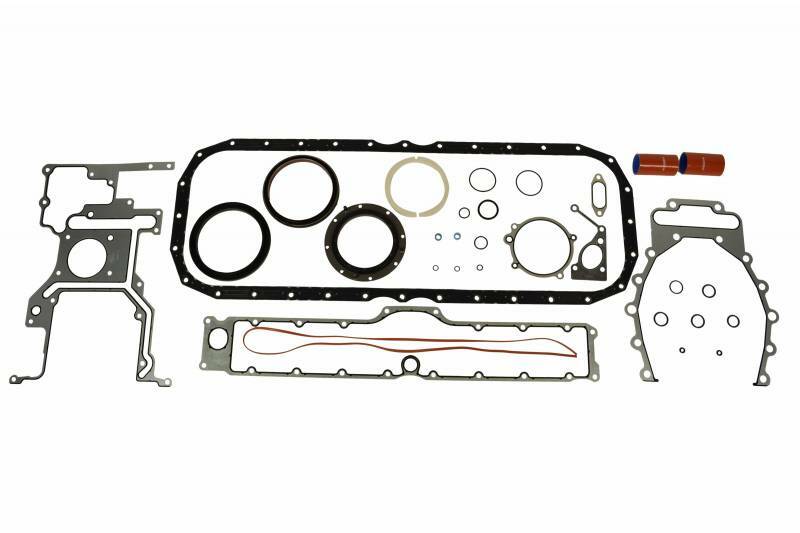 Each gasket is made to fit exact OEM specifications, so you get OEM quality at an aftermarket price. The premium sealability and functionality of these gaskets will increase the efficiency of your engine and keep it running even longer. Maybe you’re replacing the cylinder head on you C15 or 3406E, and you like the big gasket sets, but you don’t really need all of the gaskets those sets have. 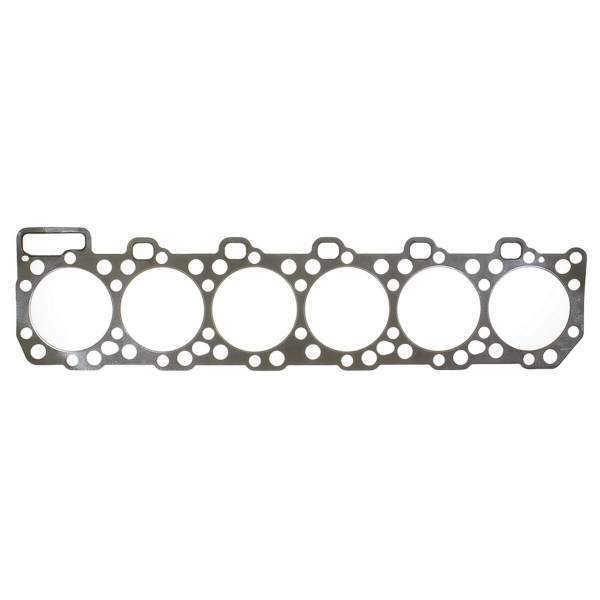 Well, we have your back (and your wallet) with this single head gasket. No unnecessary gaskets for no unnecessary cost. 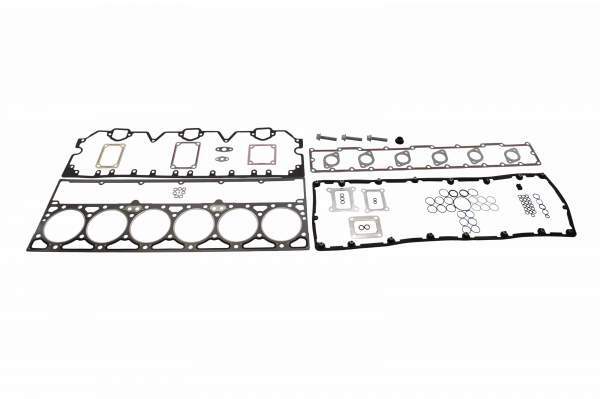 This head gasket is manufactured in an ISO 9001:2008 certified facility for quality and consistency that go above and beyond, because your workhorse deserves only the best. This is a full gasket set that will replace all necessary gaskets in your upper engine. Each gasket in this set is made right here in the USA with completely asbestos-free material. To prove the American-made quality and performance, these gaskets have a 1 year warranty. This gasket set is featured as a new product, and expands on the gaskets we have available for the high horsepower QSK60. This is a system oriented modular set for the turbocharger and intercooler. The gaskets in this set are made in the USA, so you know they’re made to high quality standards. Need to refresh or replace the gaskets on your diesel engine? Give us a call at 844-215-3406 or request a quote online!